A unique and very well presented fourth floor apartment set within an impressive and peaceful gated development in Marylebone, a short distance from the iconic regents Park. 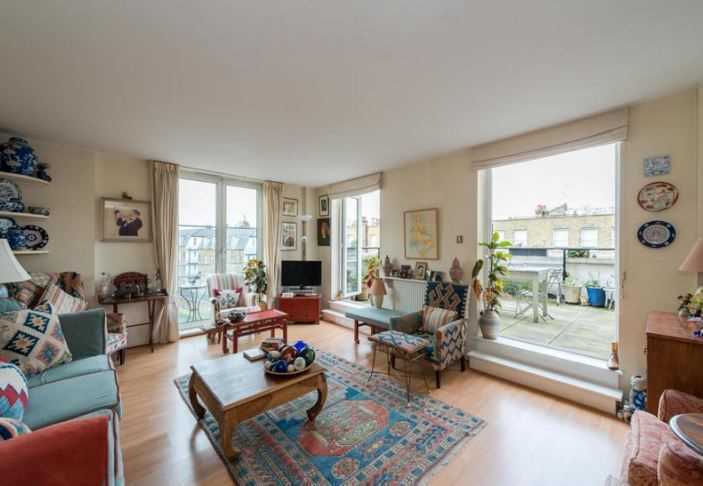 The property comprises two double bedrooms, two bathrooms (one en suite), a spacious reception room leading onto a substantial private terrace and a large eat in kitchen. The apartment is blessed with ample natural light, stunning views from each room and is the only apartment on the fourth floor of the building. Palgrave Gardens offers residents a 24 hour Concierge service, leisure centre including an indoor swimming pool, Jacuzzi and a gymnasium. The property also benefits from having an allocated underground parking space and a 980 year lease. The Development is excellently located being just a stones throw away from Baker Street & Marylebone Stations making Central London accessible within minutes.